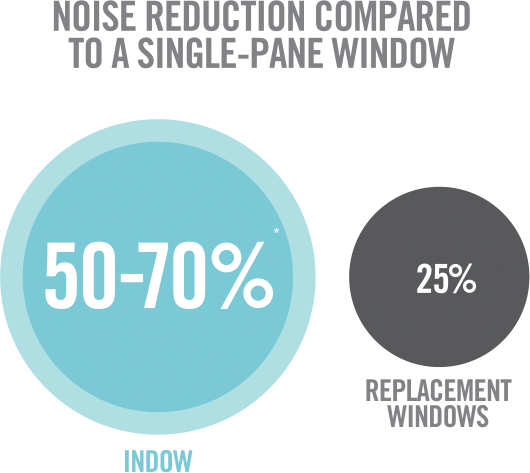 Acoustic window inserts are superior to other window soundproofing solutions because Indow inserts don’t damage the existing window. Nothing is bolted to the wall. This makes them a great choice for older homes with valuable historic windows, new homes, renters and others seeking window noise reduction who don’t want to alter their original windows. How do Acoustic Window Inserts Work? Acoustic Grade Indow inserts act as an extra wall against sound vibrations. The deeper the window frame, the bigger the air pocket between the acrylic insert and the window – and the better the performance. 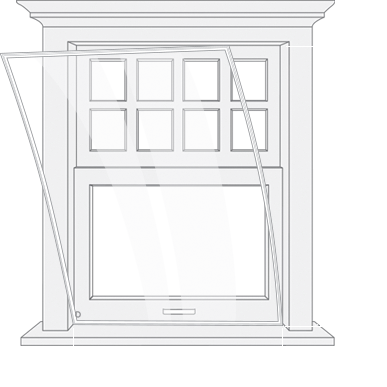 All windows are laser measured to ensure each custom Acoustic Grade insert has a precise fit. They create a tight seal, which is critical since noise also gets in through the cracks around your windows. Nominal ¼” thick acrylic glazing, double the thickness of Standard Grade. Available in custom shapes like arches, rounds and eyebrows. They’re versatile and can be used in a variety of settings such as bedrooms, nurseries, home recording studios, workout/dance/art studios as well as office soundproofing. Churches, yoga studios, government buildings, museums and rental property managers have all used Indow inserts to reduce outside noise. Get creative! 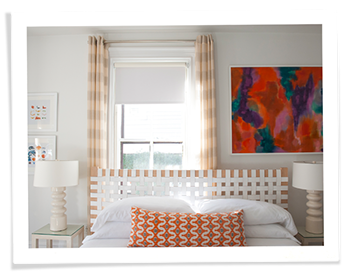 To better understand how sound enters a space, check out our home soundproofing guide. Maggie installed Acoustic Grade in several rooms to block loud traffic noise. The reduction was dramatic and she loved how she couldn’t even see the inserts. STC (Sound Transmission Class) Ratings denote how much noise is blocked by walls, windows and other surfaces. 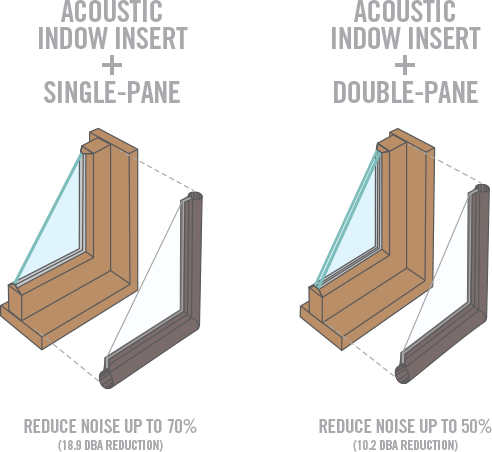 Independent studies have shown Acoustic Grade inserts placed over a double-pane windows yield a STC rating of 42-45 and over a single-pane, 26-28. Block noise to enjoy quiet and a good night’s sleep. Get a free estimate by filling out the form below.